Images from dev stream. 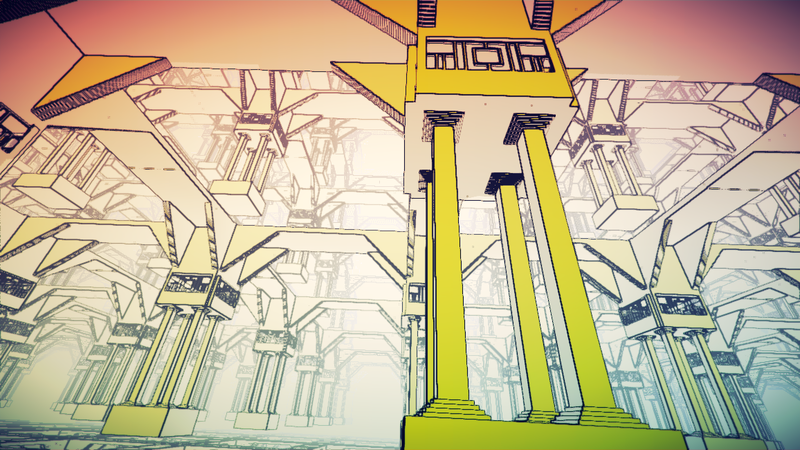 Adding more details to the architecture. 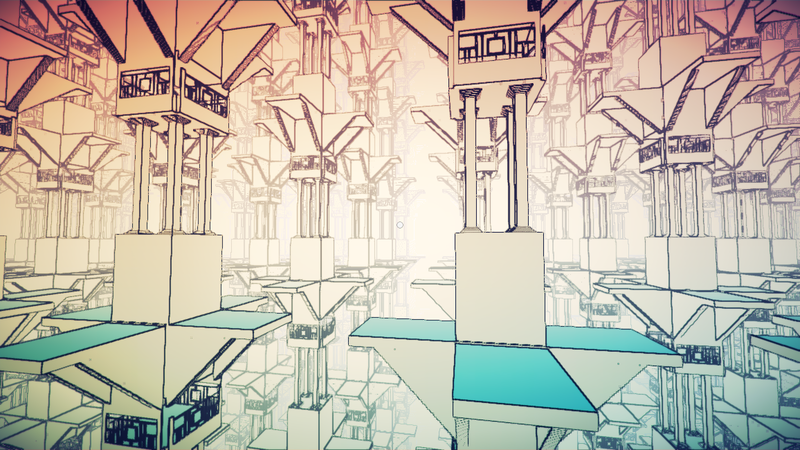 Chris Wade, a local Chicago indie dev, has come on board. He’ll be working on the game full-time for the summer, helping me overhaul all the gameplay systems and making sure all the mechanics work together. 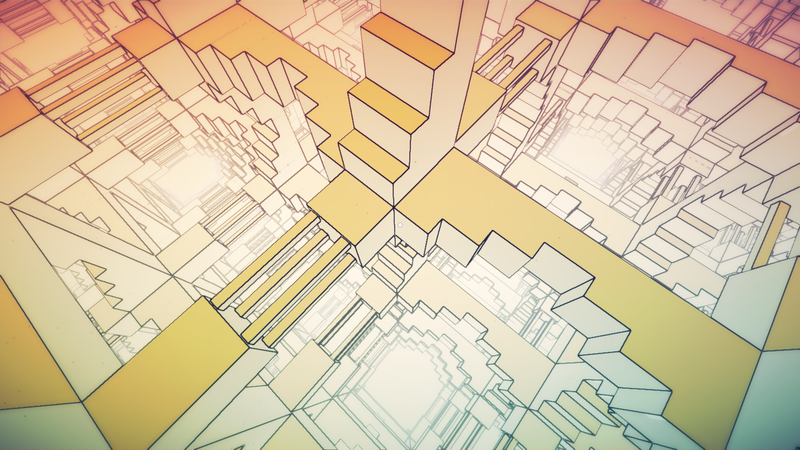 During this time, we’ll also be working on adding more visual and game feel polish. 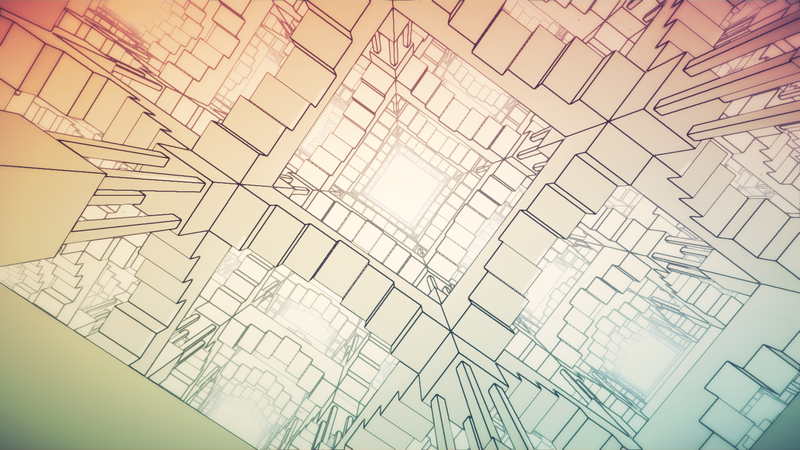 The cube colors now fade nicely between active and inactive states, making the transition much smoother. 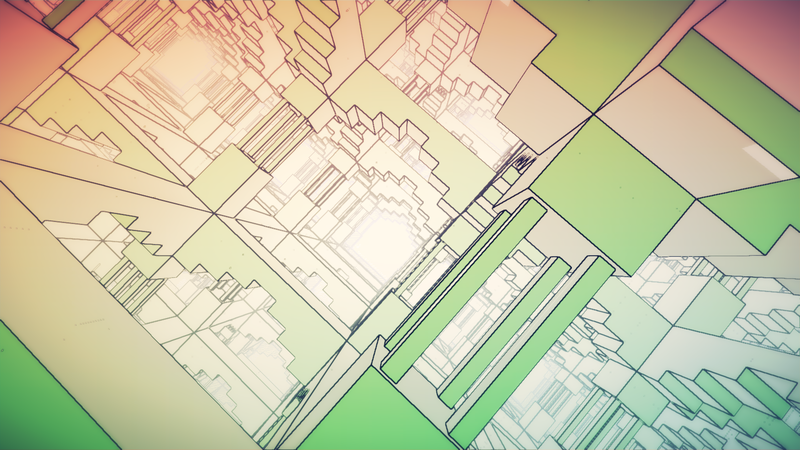 I think from here we’re going to making a lot of progress. Will definitely be posting updates here. Also, continuing to stream on a regular basis. Finally! 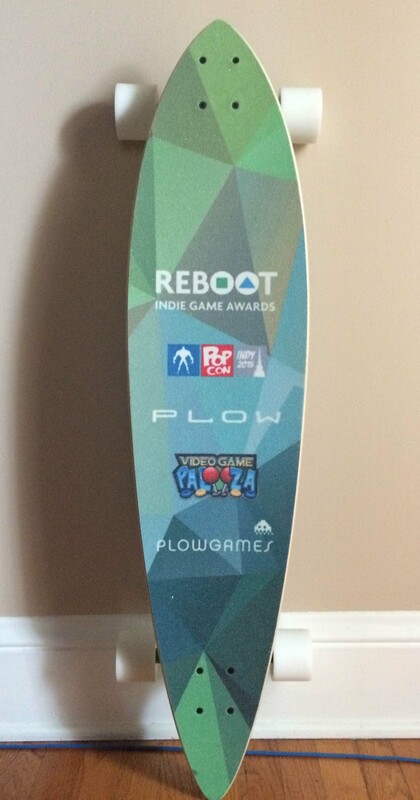 Super stoked to share this with you all. I worked with Jake Strasser on this teaser. The wonderful music in it is by Ryan Roth. 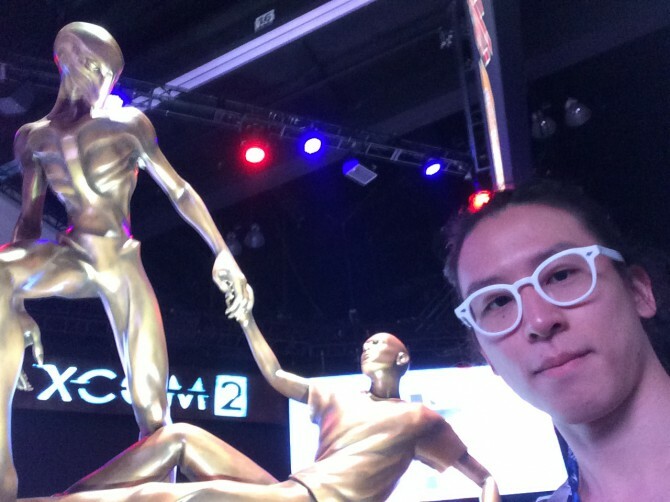 For me, being at E3 was a totally crazy experience. A few years ago, I didn’t even play video games, and yet it was still one of the few video game events that I had heard about on the news. 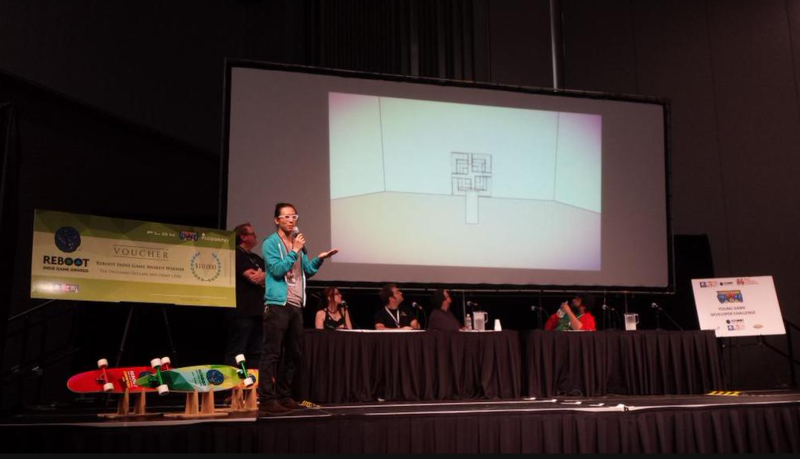 Last year, I remember watching the livestream from my apartment and thinking how cool it’d be to attend the event in person, but never thought I’d be showing my game there. 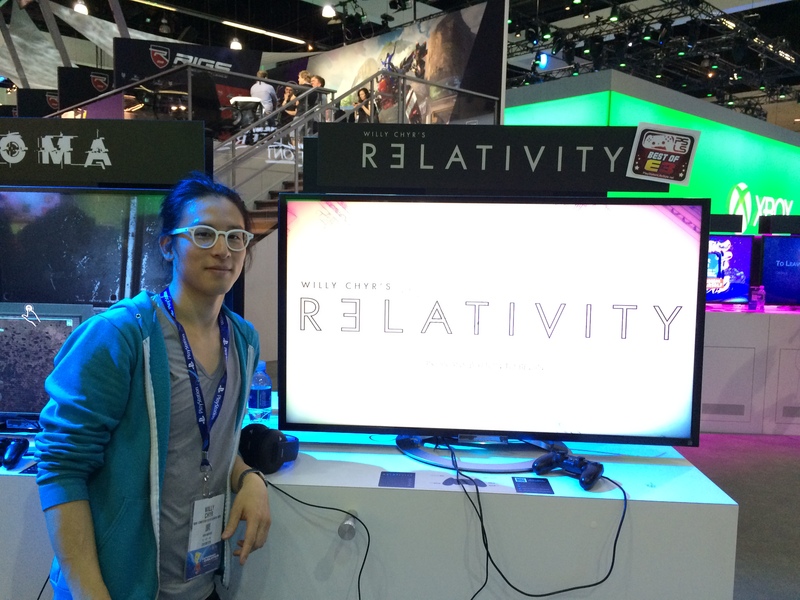 This year, I showed RELATIVITY at E3, and in the PlayStation booth no less! It’s still really unbelievable for me. I owe a huge thanks to Sony for the opportunity. 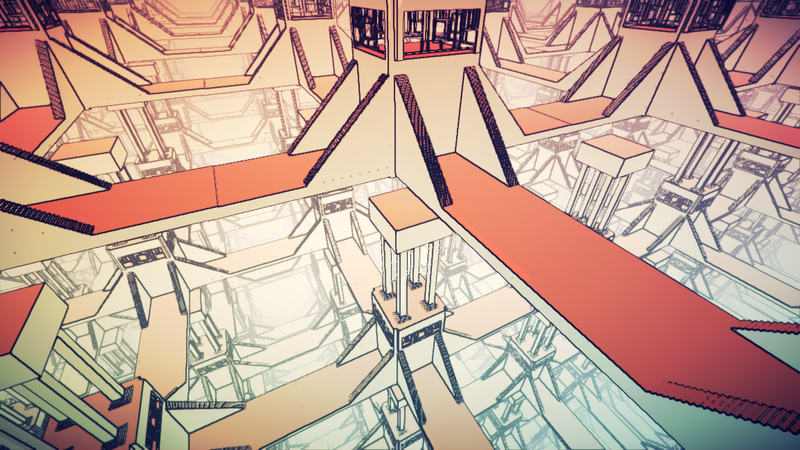 There are A TON of great games that they could have chosen to show at E3 instead. 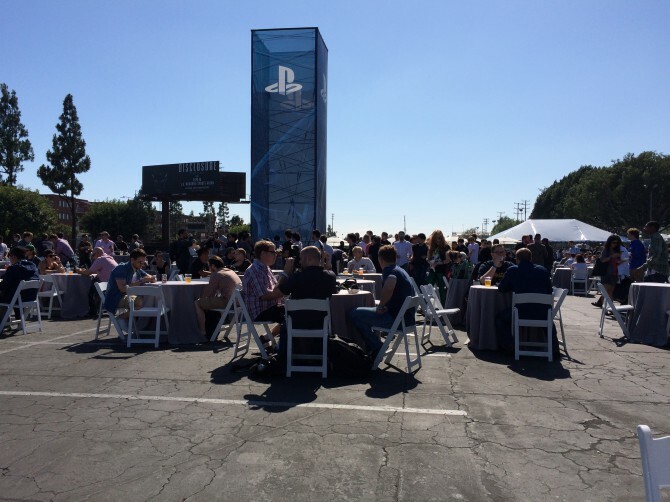 Also, because Sony took care of all the setup, it was not only the best presentation I’ve had at a show, but also the easiest logistically. 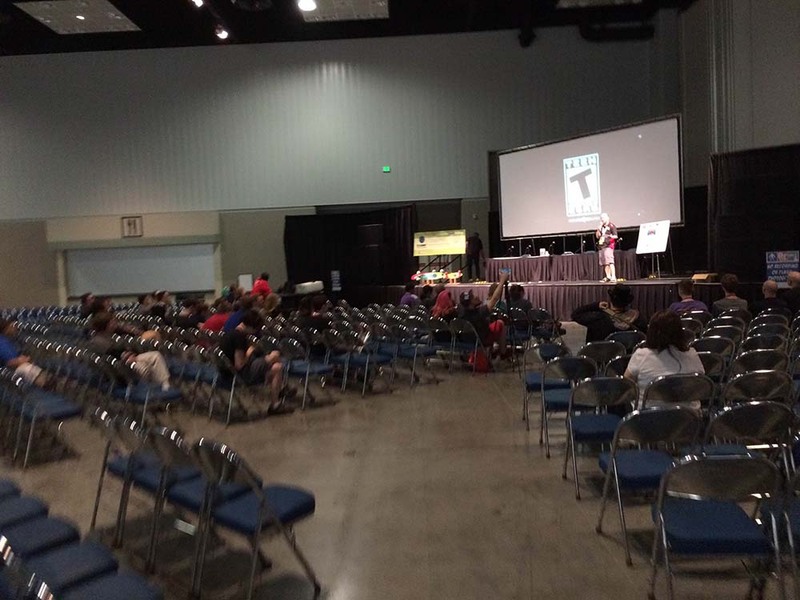 Instead of having to lug a laptop and monitor to the convention center and set it all up, I just had to show up. And when the show was over, instead of having to stick around and pack up everything, I was able to just walk away. This made it a really great experience for me. 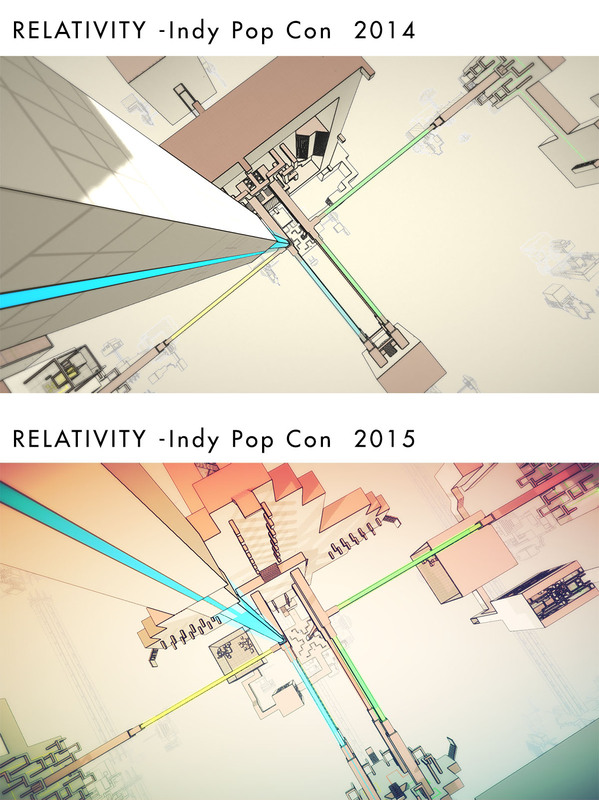 IndieMag - Relativity, l’héritier spirituel d’Antichamber ! 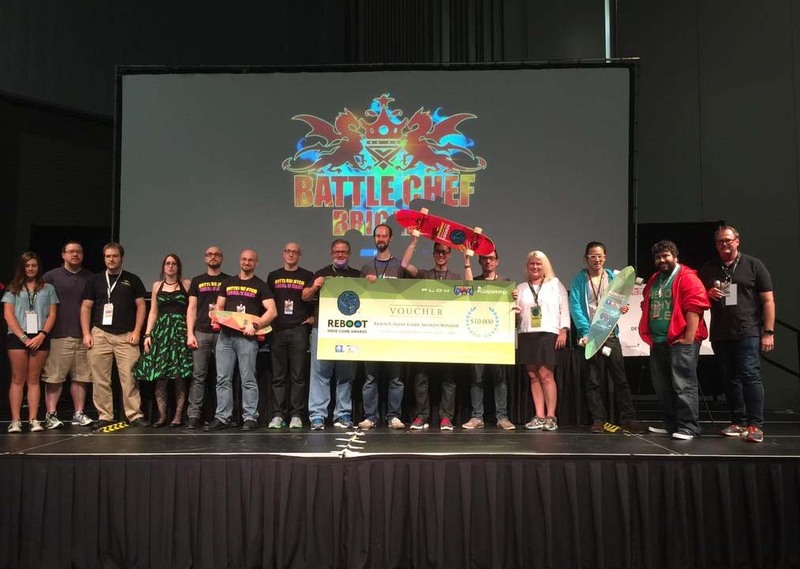 I would say that the one thing about E3 that was very different from other game events I’ve been to, is how few indie devs there are proportionally. 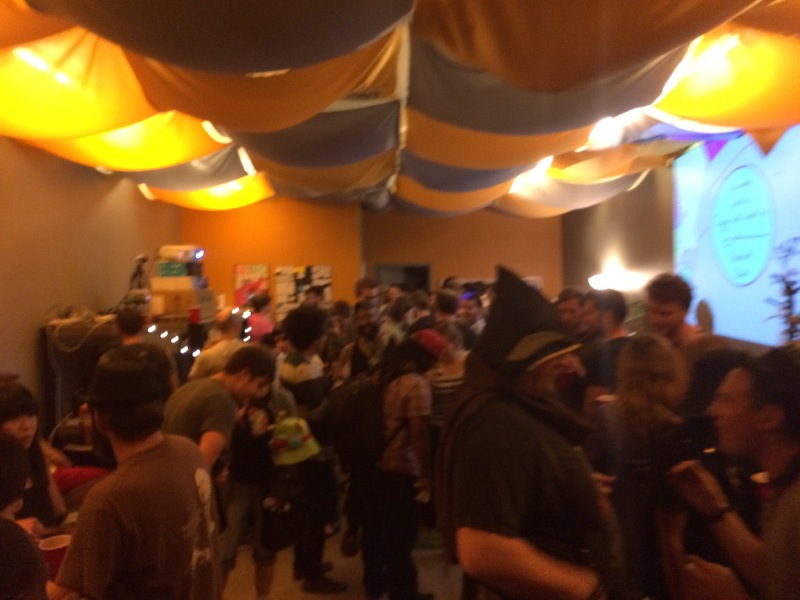 At GDC and IndieCade, you’re constantly running into familiar faces, and other indies you know from the web. At E3, most of the people I didn’t recognize. It’s also much more international. 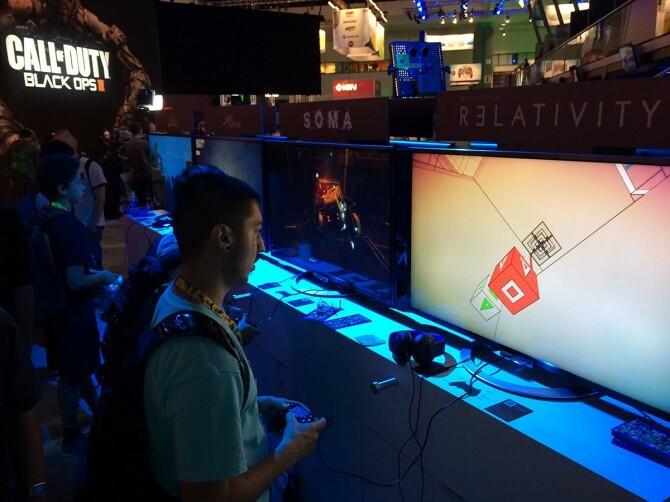 There were people from all over the place at E3. I met developers from Costa Rica, journalists from Peru. It was a really cool atmosphere. In a lot of ways, definitely the biggest game event of the year. Carboni was super cool. Really nice guy and a great host. He actually came by the booth on Tuesday before the show started and played through the demo to familiarize himself with the game. It was packed! Ran into lots of cool people there. Last day of E3. By then, I was pretty exhausted, having been on my feet and talking for 6+ hours each of the previous days. 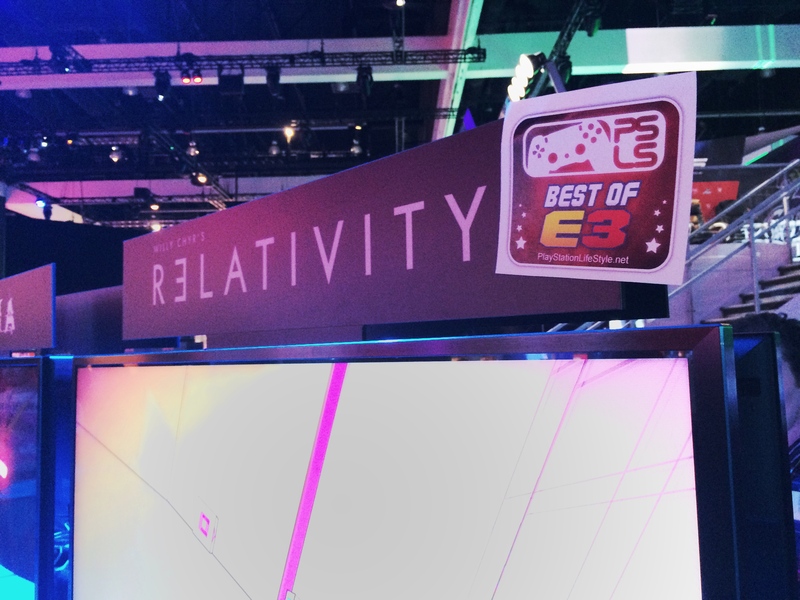 What was very exciting was that RELATIVITY got a “Best of E3″ badge from PlayStation Lifestyle! 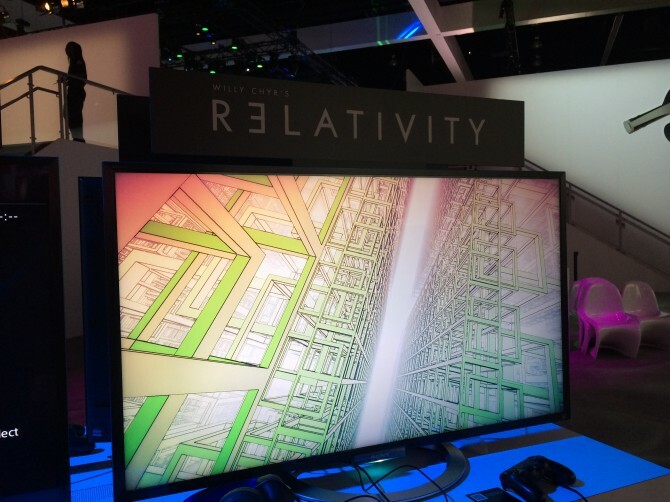 Back from showing RELATIVITY at the PlayStation booth at E3… Boy, it was an incredibly exhausting week! Going to try to remember everything that happened, as well as some of my thoughts about the event while my memory is still fresh. I arrived in LA just a little before noon. I made the mistake of not looking into transportation from the airport before my trip. Internet wasn’t the most reliable for me out there. I got a shuttle to the hotel just outside of the terminal. It was $15. I’d recommend booking a spot in advance just because it’s possible that the shuttle would be full at that time. I was able to get a spot with Prime Time Shuttle (there’s another company there called Super Shuttle). There seems to be a shuttle around every 20 minutes or so. I actually rode on the same shuttle as the devs from Salt & Sanctuary (hello James and Michelle!) 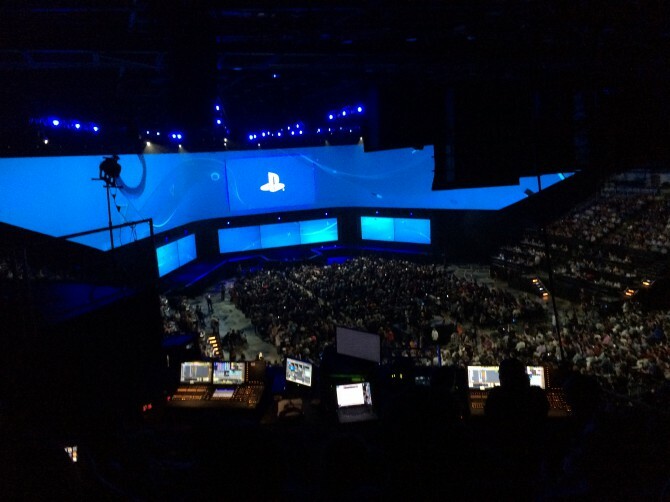 – they were seated behind me and I heard them talking about E3. 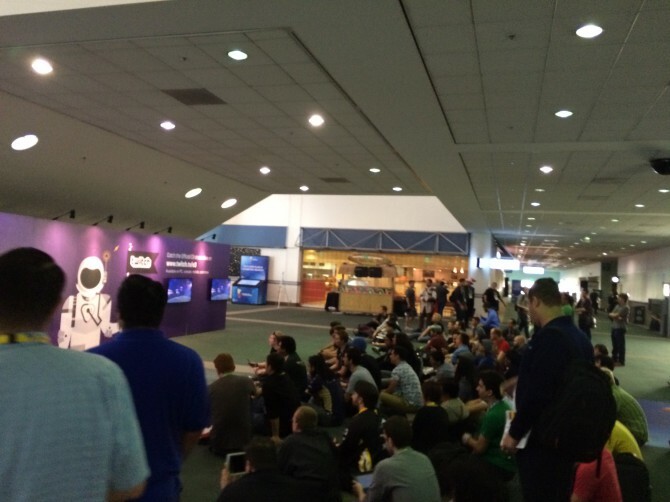 It turned out they were also showing their game in the PlayStation booth and staying in the same place! After checking in at hotel, the day was mostly spent picking up the exhibitor badge and the Sony press conference badge. There was a bit of a confusion, and I ended up getting sent to another hotel about mile away to pick up my exhibitor badge. After I walked there, it turned out my badge was actually back at the original hotel… It all worked out in the end though. 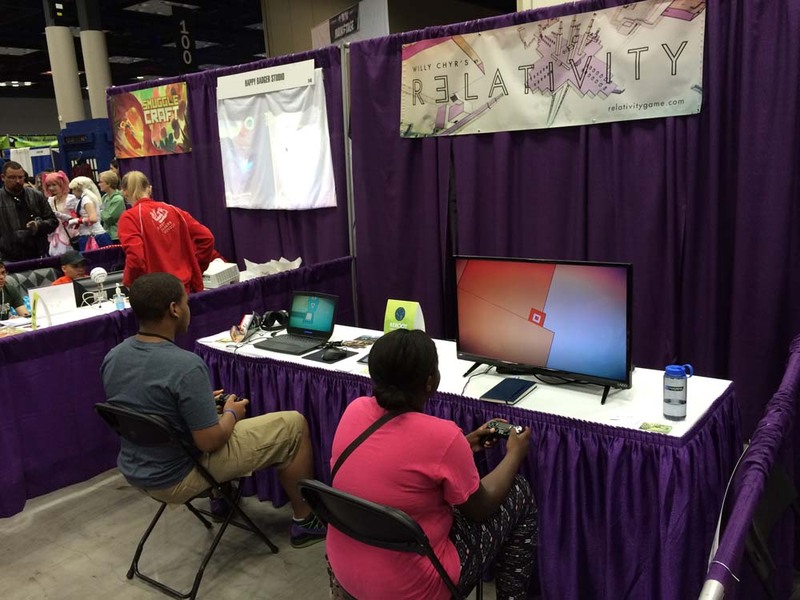 On Monday, I had to be at the booth at 11 AM to do a booth walkthrough and check that the game was working. 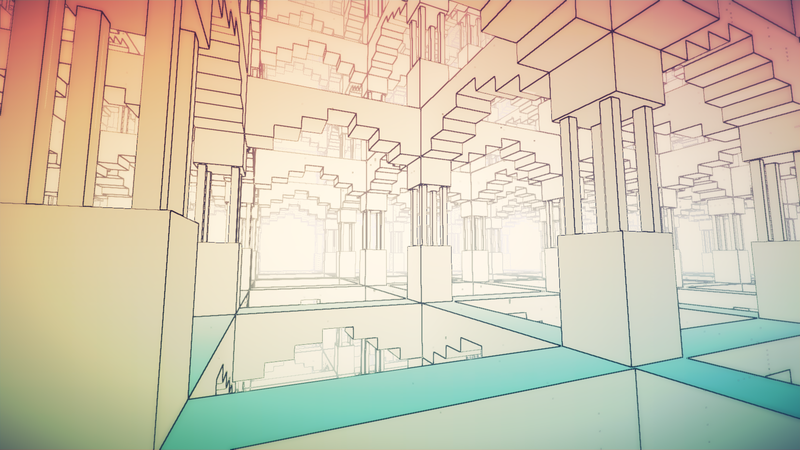 I had submitted a build to Sony about a week before E3, but then had put together a new build of the game with a few additional levels that I wanted to show. I brought the build on a USB and was able to get it running on the PS4 testkit just fine. After running through it a few times and making sure that there weren’t any major game breaking bugs, I proceeded to walk around the PlayStation booth checking out some of the other games, knowing that I wouldn’t have any time once the show started. One game I really enjoyed was Thumper. 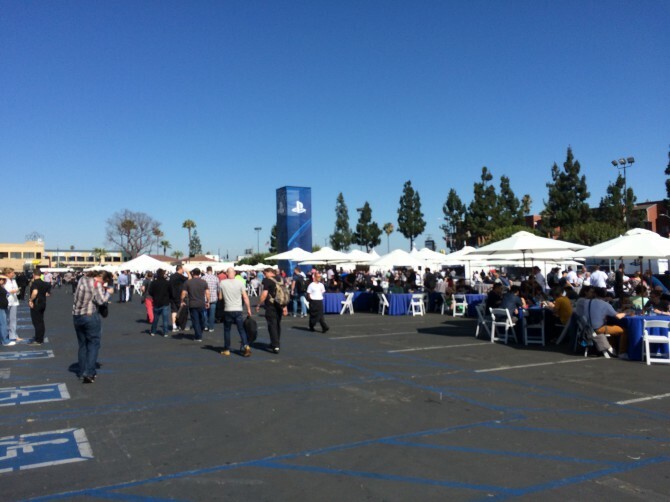 At around 4 PM, I headed over to the PlayStation Press Conference. 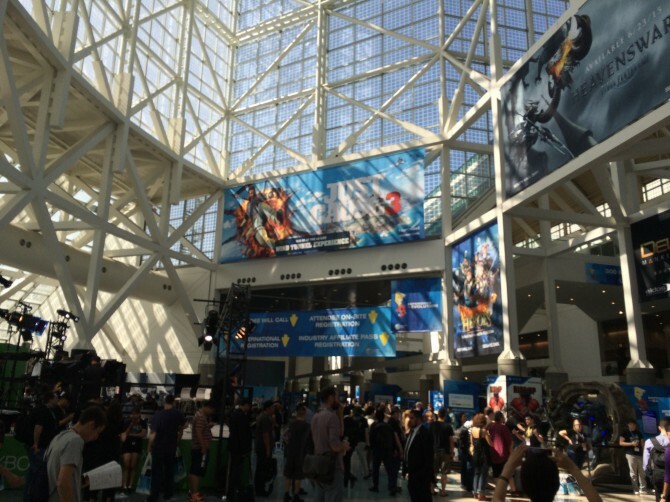 TUESDAY – DAY 1 OF E3! On Tuesday, the show started at 12 pm. I got to the convention center around 8 AM to do a few more runs of the demo to check for problems, and then had a look around the show floor. Once the show started, it was pretty much GO GO GO from there. I was booked the whole day with press interviews. 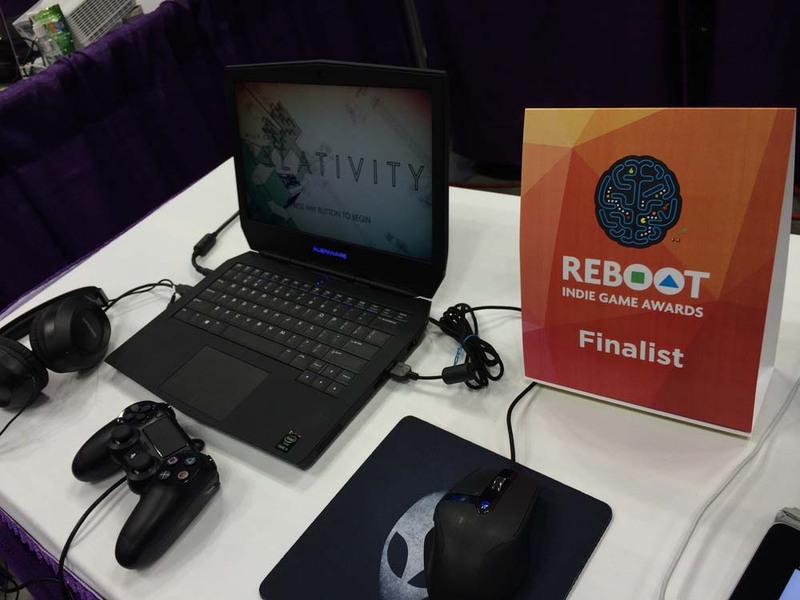 Lots of people tried the game as well, and the response was really positive. All I remember was the show started, then I was on floor talking to people, and then before I knew it, it was 6 pm and the security guards were asking everyone to leave the floor.